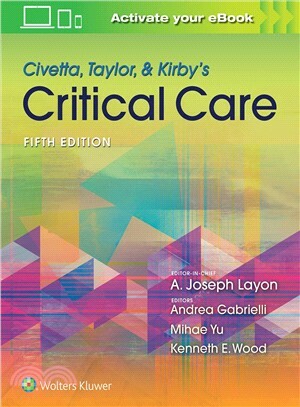 For over 30 years, Civetta, Taylor, & Kirby's Critical care has been the most comprehensive, surgically oriented critical care text and this tradition will continue with the newly published 5th edition. The table of contents has gone through a complete overhaul under the tutelage of a new editorial team. In order to bring stronger focus and consistency to the chapters, this new edition will see an introduction of a template of headings for disorder chapters.